Reports have been doing the rounds in the early stages of last season about Manchester United’s left-back Luke Shaw leaving the club due to not being fancied by Jose Mourinho. Shaw was left out of the squad on many occasions without any reasoning. After these reports had done the rounds, Mourinho was always asked as to why Shaw was not making the team, and it was revealed. Luke Shaw wasn’t “working hard enough” according to Mourinho and was “well down the pecking order” when it came to the left-back spot. This prompted Shaw to have a meeting with Mourinho, where they discussed his fitness and effort in training. Luke Shaw was then in the next squad in a 1-1 draw vs. Everton. Luke Shaw started to play more and more as the season came to a close, showing glimpses of his tremendous ability. Shaw believed he had “turned a corner” after improving in training and getting game time but then Shaw’s season was then sadly ended by injury after damaging ligaments in his ankle which ruled him out of for the rest of the season after eight minutes in Manchester United’s 1-1 draw against Swansea. Now the season has come to a close, and the transfer window is set to open, more reports are suggesting that Manchester United are in for a new left-back this summer, the links include Manchester City bound Benjamin Mendy and Tottenham Hotspur’s Danny Rose. I’m completely against this and believe that Manchester United should stick with Luke Shaw beyond this season. Luke Shaw was Manchester United’s best player before his unfortunate leg break in the 2015/16 season. We saw him owning the left flank by himself with ease, with him only being despite him only being 20 years of age. The fans have seen his qualities, and he can only improve with him being in his early twenties. He has had some injury issues since his leg break which is common. Some players tend to become more injury prone after such a serious injury, but then in most cases, they can slowly grow out of it with the right recovery process. I think he should be given time to try and get over his injury problems so we can see him shine in United colours for years to come. When he’s fit, he’s one of the best full-backs in the league. His age is another reason why I think we should keep him; he’s only 21 soon to turn 22. He has just over a decade at least in him. If Shaw is given a chance to get over his injury troubles and get consistent game time, he can be playing in front of the Old Trafford faithful for over the next ten years. If he were a lot older, then it wouldn’t surprise me if we looked for younger options who can come into the team for the next 5-10 years. United’s number 23 has said multiple times that he wants to stay and grow with the club, with him now getting on the right side of Mourinho he should be given the opportunity to do so next season. When we saw him play this season, he was playing through injury in the early stages; he was then left out of the team which ended up with him lacking match fitness and then he wasn’t given consistent game time. 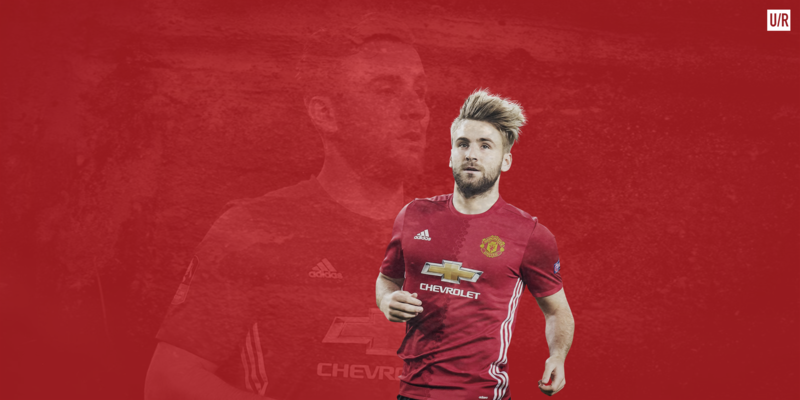 If Mourinho does give the England international regular game time, we will see the Luke Shaw we know and love shine at the club.